I wasn't sure what to expect going into this one, but I did enjoy the fact that this was such a strong tie-in with Prometheus. While it doesn't make this connection as cleanly as some would like, Ridley Scott leverages the hell out of this connection to create the final scene. To be sure, this is classic horror movie with a sci-fi wrapper. You can almost feel yourself wanting to yell 'Don't go in there!' at a number of points in the film. 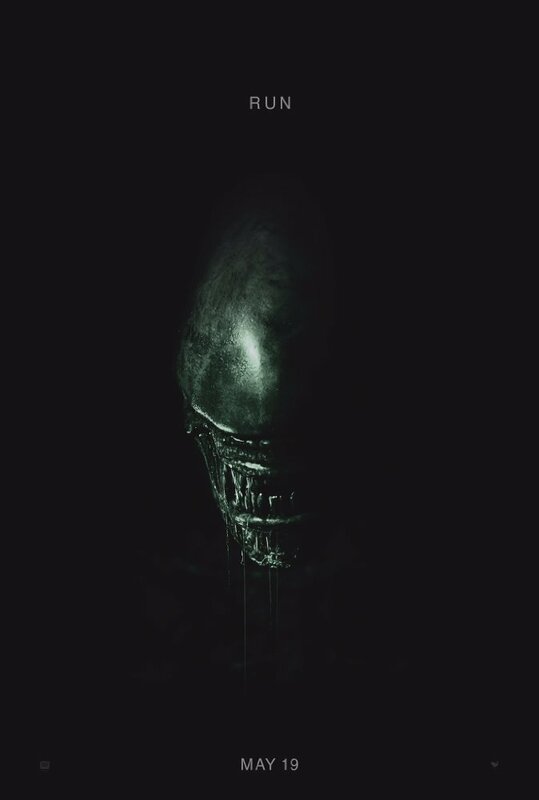 Michael Fassbender delivers a dual-role performance that has the audience fearing him more than the xenomorphs. Katherine Waterston also delivers a great performance that is almost on par with Sigourney Weaver's Ripley (from the first 'Alien' film). The biggest difference being we see her character, Daniels, as a bit more vulnerable, and less hard edged than the Ripley character. It's hard to say much about this film without giving too much away and throwing out spoilers, but from the first 20 min. of 'Covenant', you are assured the body count is going to be high. While some of these casualties are practically telegraphed ahead of time, things move along at a pace that is brisk enough so that viewers don't get a chance to dwell on it too much. I did have a problem with several plot points that defy simple logic, but again, not looking to provide any spoilers here. One thing I seem to always have an issue with is that we're supposed to accept that any space-derived landing craft with absolutely no hint of aerodynamics (basically a flying brick) is capable of flying as both a helicopter and/or a jet. I know these devices have become de rigueur in most sci-fi movies, but its still a pet peeve of mine. In summary, if you're a fan of either the original 'Alien' or 'Prometheus' (or both), you'll want to see this. This is also obvious sequel material, so you need to stay caught up if you want to stay on this ride!